A personal destination wedding website is the best way to communicate information to guests who may be spread out all over the globe. It’s a great way to provide travel details, collect RSVP’s and so much more. 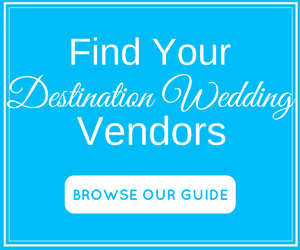 Are you wondering which is the best destination wedding website or app? How to even customize one? 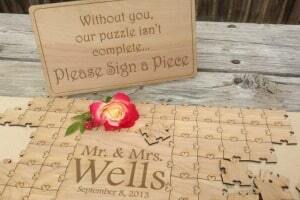 Or what wording to put on it that will inform and excite your guests? Keep reading to find the answers to all these questions and more. This post got long so here’s a table of contents so you can jump to each topic. Why launch a destination wedding website? 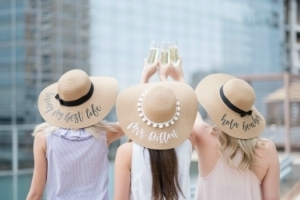 As you already know, planning a destination wedding requires a lot of organization and coordination with your friends and family. The last thing you want is to let them fend for themselves – a sure recipe for disaster! Below are just some of the reasons why you should have a personal destination wedding website. A destination wedding website is the best way to keep everyone updated with all the travel and wedding information. All you have to do is find a template you like, plug in some info and update it anytime you have new info to share. It’s very easy, in some cases free, and your guests will appreciate the easy access to ongoing updates and communication. 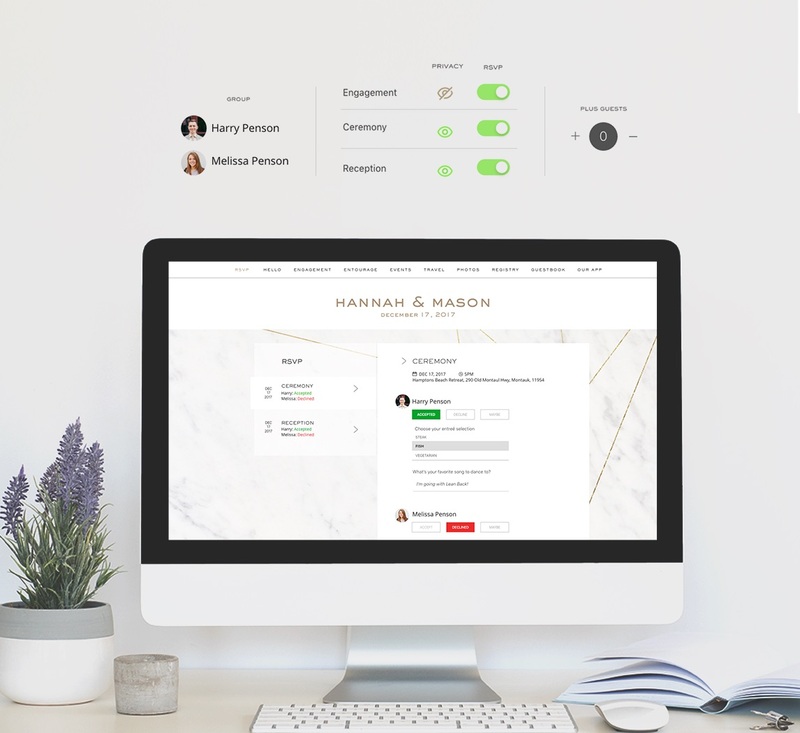 A personal wedding website is also the most efficient way to collect RSVP’s because you’ll receive a notification every time someone replies. You can manage your list online (or in an app) and track RSVP’s 24/7. No postage, no extra paper to keep track of. It’s that simple! 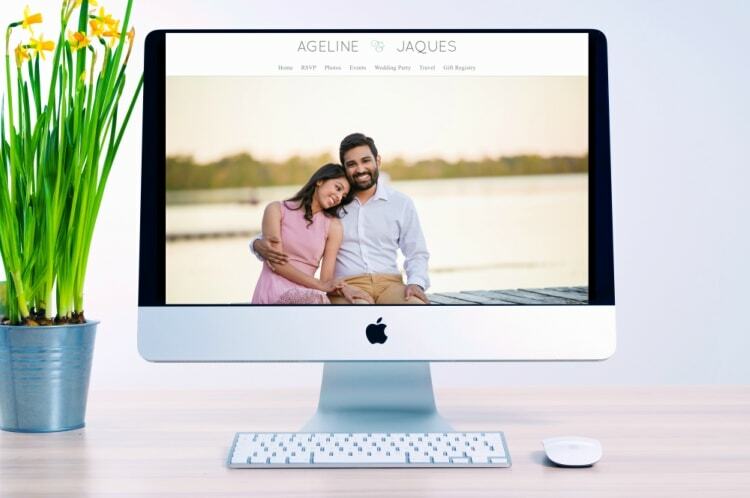 Your destination wedding website is also a fantastic (and probably the best way) to create excitement about the trip and introduce your guests to each other so that they won’t feel like complete strangers when they reach the destination. Some of the websites I’ll review even have apps that allow your guests to chat with each other. 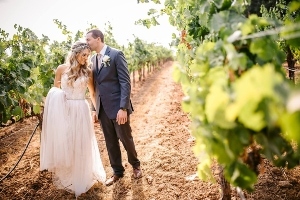 How do I customize a destination wedding website? There are many applications available online that are very easy to use. 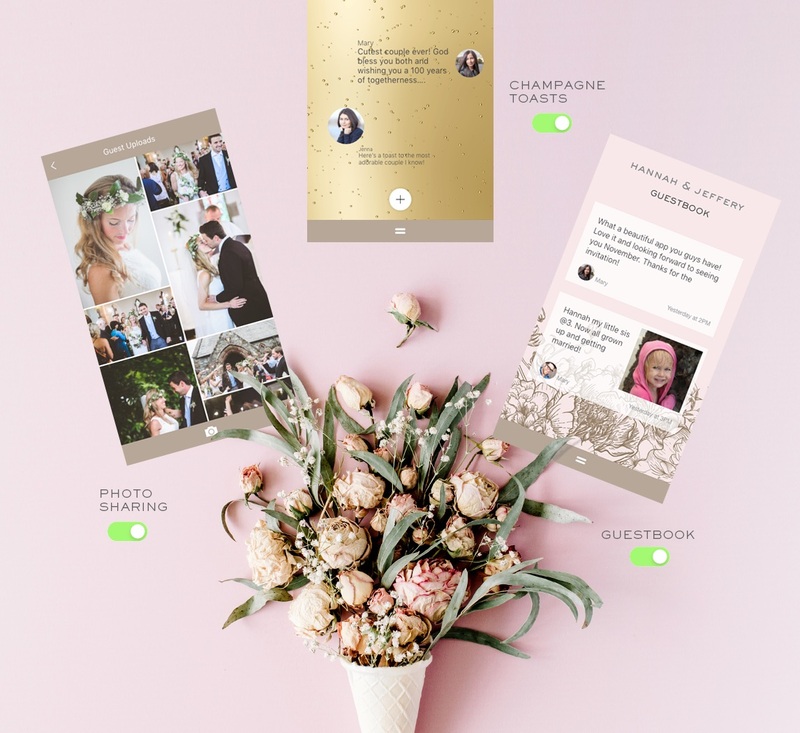 They come with templates, and you just need to plug in your destination wedding details and photos. You can have a complete site in just minutes. You can edit and preview your site before it goes live on the web. When done, you’ll get a custom URL which will link directly to your page. You can even make your site private so only people with a password can access it. 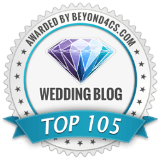 What is the best destination wedding website? 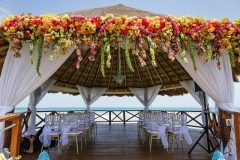 Although there aren’t many dedicated destination wedding websites, there are some general websites that have destination wedding themes. 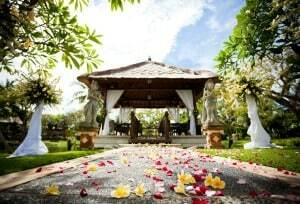 And others with features that are just better suited for a destination wedding. Below are my favorites. 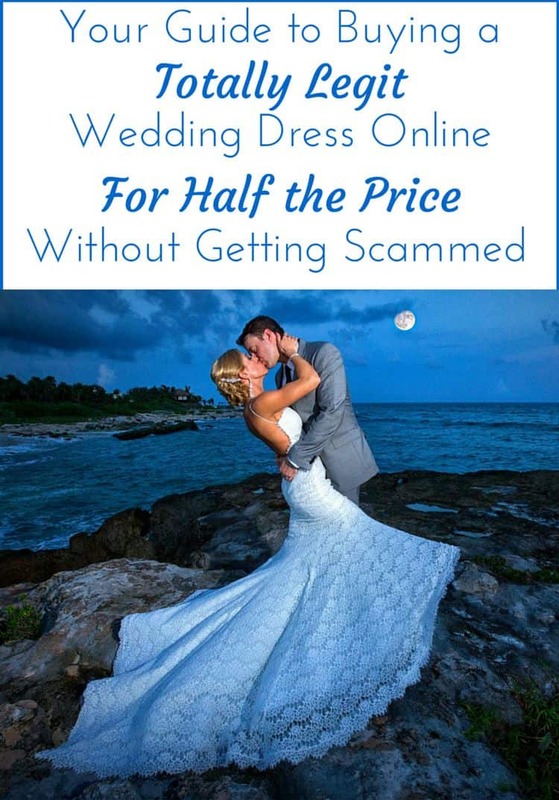 Disclosure: This post contains affiliate links, which means that purchases made via these links may result in a small commission to help keep Destination Wedding Details running at no additional cost to you. Click here for more info. Most destination weddings are a multi-event affair and Appy Couple has a GREAT feature that lets you segment your guest list accordingly. Their site lets you hide events from certain people! Maybe you’re inviting 60 people to your wedding, but only 30 of them to the rehearsal dinner. You can set it so that only those 30 people can see information pertaining to the rehearsal dinner. 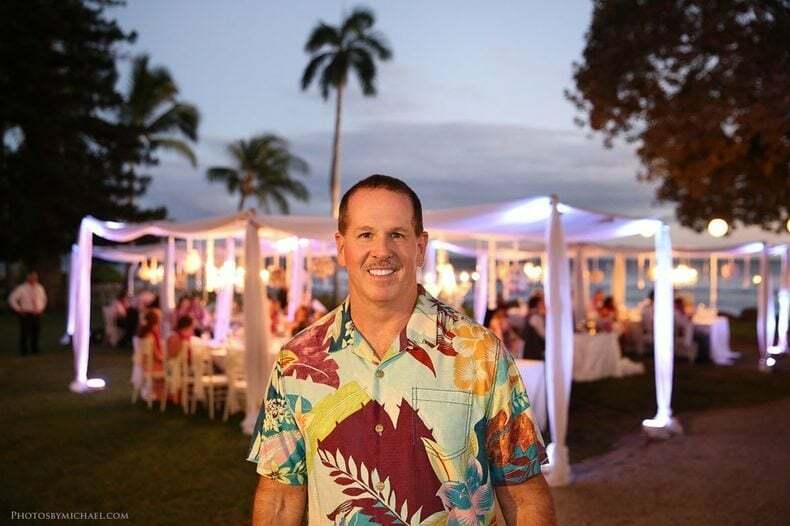 Are you having a hometown reception after the destination wedding but don’t want everyone to see everything? No problem! You can create one guest list for the destination wedding and only share details of the destination wedding with that private group. Create another list for the hometown reception and those guests will not see anything about the destination wedding — unless you want them to! Since you have control, it’s up to you WHO sees WHAT within the site– to avoid having anyone feel left out, or confused. This my friend, is a game changer! You can create family or group lists that allow one “spokesperson” to RSVP for the entire group. Also, you can add blank “plus ones” for guests to fill in themselves… once they find a date to bring! Get each RSVP response in real-time, no waiting! Also, RSVPs aren’t just a yes or no question. You can get answers about food choices, travel arrangements, and even song requests. And the best part is that you can then export this info to provide to vendors. Destination Wedding Website? There’s an app for that! One of my favorite parts of Appy Couple is that you and your guests can easily download an app from Itunes or Google Play. Your custom designed app syncs all your website’s info for an instantaneous resource right at your guests’ fingertips… anywhere, anytime! Oh, and the app is FREE for your guests! 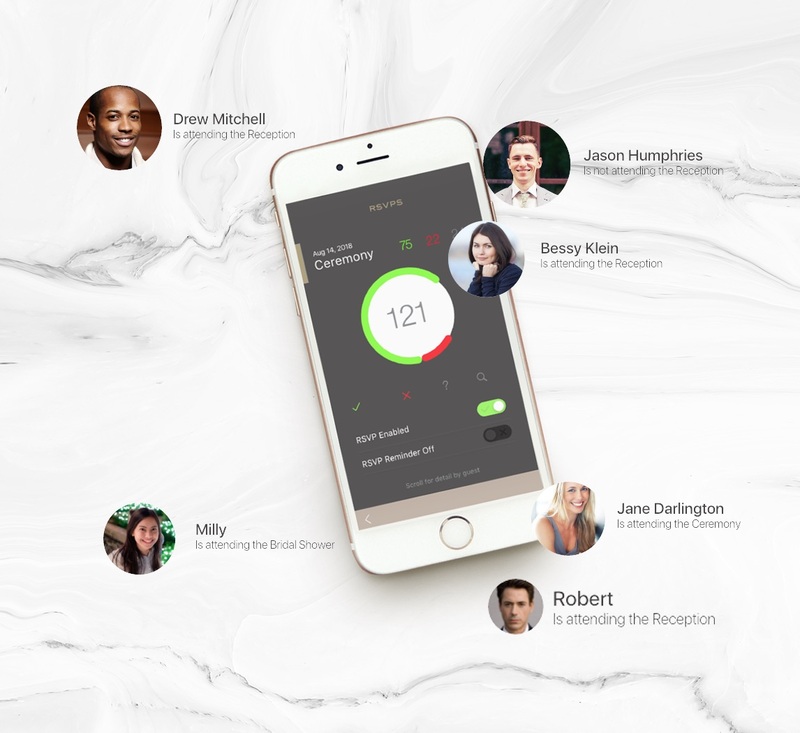 The app has a chat feature that will allow your guests to communicate with each other. 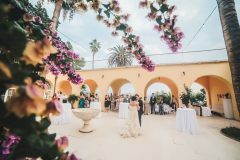 This can come in handy if your guests want to connect to share a room, a villa, a house or car rental for your destination wedding. There are even multiple language settings to choose from, should you have some guests joining you from overseas! The app allows for you to send custom emails out for everything from save-the-dates, to invitations, reminders, thank yous and more. 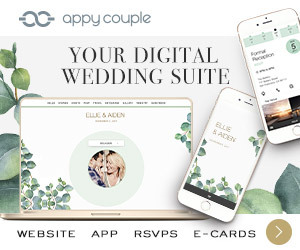 If you decide you want to send out hard copies of invites or save the dates, Appy Couple not only makes collecting addresses super easy – but it has print partners who can create invites and more to match your website’s custom design. Also, you can appoint multiple administrators so you can share control over the app. 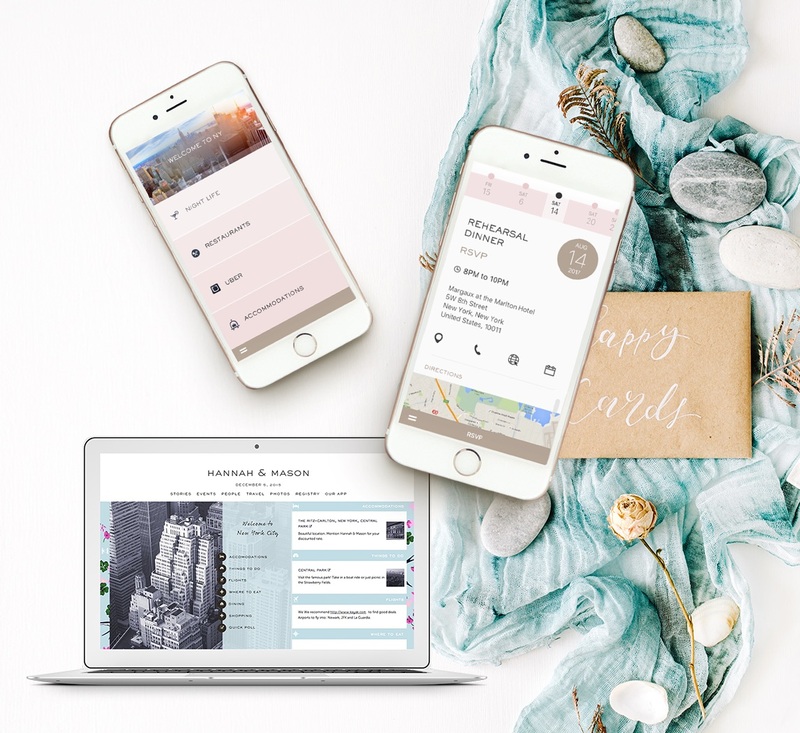 You, your honey, your bridesmaids or your most tech-savvy cousin can share responsibilities of creating, updating, tracking and sharing. 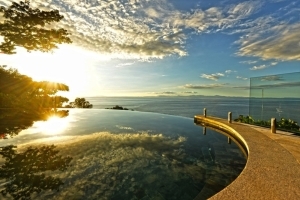 Something that really sets Appy Couple apart from the competition is that they have a travel concierge feature. What does that mean? They’ve partnered with a bunch of hotels and resorts to allow you to reserve room blocks. You can also select a local salon, book transportation and browse local dining options via the website/app. 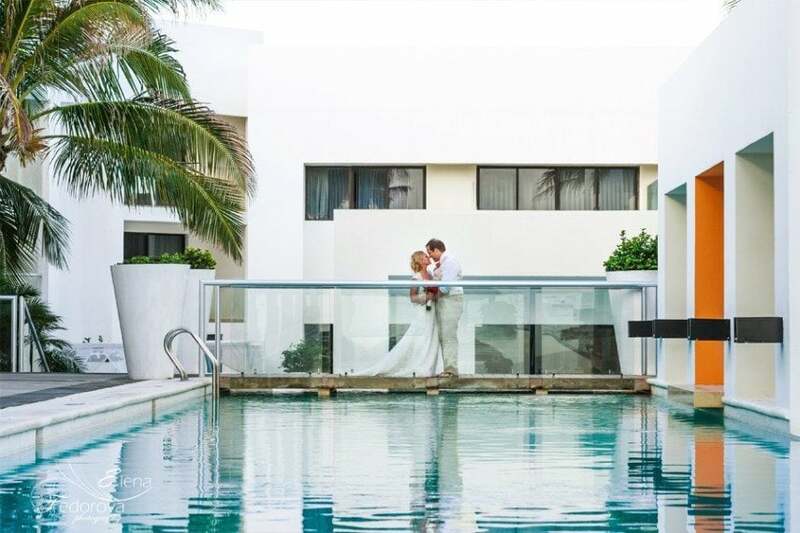 Appy Couple has a great photo streaming feature that allows guests to upload photos and videos all in one place. Plus, those who couldn’t make it to the wedding can enjoy each photo in real-time so they’re not missing out as much! We can’t fail to mention, guests can browse your registry, or even offer a cash gift right in the app itself! You can enable a countdown clock to let them know they’re running out of time to book their trip. There is also a virtual guestbook and a feature that enables virtual toasts! 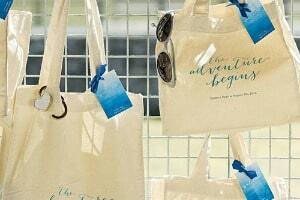 Each attendee can share marriage advice, a favorite memory, or simply wish you well. Keep in mind, when you create this site/app, there is no expiration date or monthly membership. You can revisit your guestbook and photo albums forever. 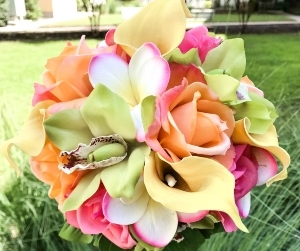 It’s the ultimate wedding keepsake! 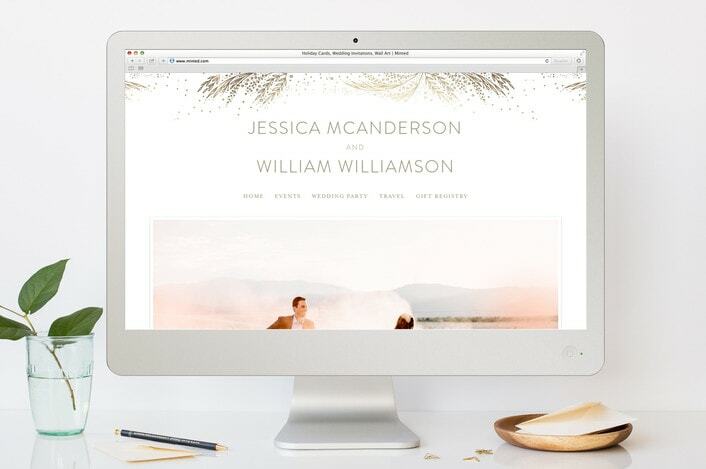 Minted.com has a huge assortment of destination wedding templates designed by a community of independent artists. The best part? Their basic plan, which has everything you need, is free. You can upgrade to their premium package for some extra features like a photo gallery, custom URL (i.e. couplesname.com) and a password-protected site. 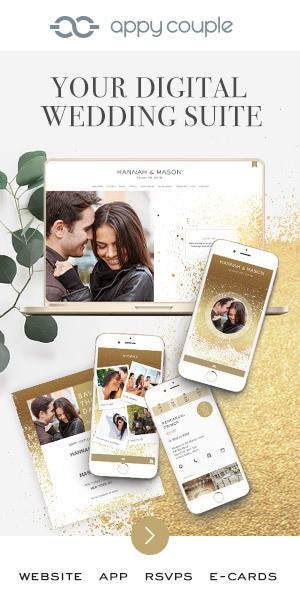 But what really sets Minted apart is that every one of their destination wedding website designs has matching invitation suites. You can purchase save the dates, invitations, RSVP cards, thank you cards, programs, table number, menu, and even seating cards all with the same design as your website for a cohesive look. Whether you choose to get a free site or pay a fee depends on your preferences. Free sites usually come with all the basic designs and features you’ll need to communicate with your guests. 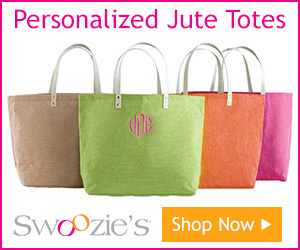 A paid site is a much better option if you’re the type of person who prefers more elaborate designs/backgrounds that you can personalize and customize (with photo galleries, your monogram or something more creative.) When I got married I chose to pay for a more premium design because I wanted to personalize it in a way you can’t with free sites. The sky is really the limit when it comes to the content you can put on your destination wedding website. Just think of any information that would help everyone get to your destination wedding, and would make them want to go. Your stories: Write a short paragraph about how you met, why you decided to tie the knot abroad and why having your loved ones travel the distance to witness your love will mean so much to you. Travel Info: Include links for booking group travel, information on how to obtain passports, airline or hotel discount promo codes/links. Lots and lots of PHOTOS: Don’t just include photos of each other. Go further by uploading pics of the country/city, your resort. You can also do a slideshow of all your guests — they will be flattered and the other faces will be familiar when they all finally meet. About your Locale: Go to the location’s tourism site and put some of that info on your personal destination wedding website. Include photos, things to do, attractions, and anything else that will make this trip appealing to your friends/family. Itinerary: Include info about when and where the ceremony and reception will take place. Pre-wedding event invitations: Include details of the welcome reception, rehearsal dinner, excursions or any other pre/post-wedding event. Music: Upload a song that is meaningful to you so that it can play in the background. You can also ask guests to make song suggestions for the reception. RSVP Collection: Add an option to collect rsvp’s directly through the website but also include your email address and phone number. Guestbook: This is a page for your loved ones to share their thoughts and well-wishes. Dress Code: People are usually confused or unsure of what to wear to a destination wedding. This website is your opportunity to communicate your preference. 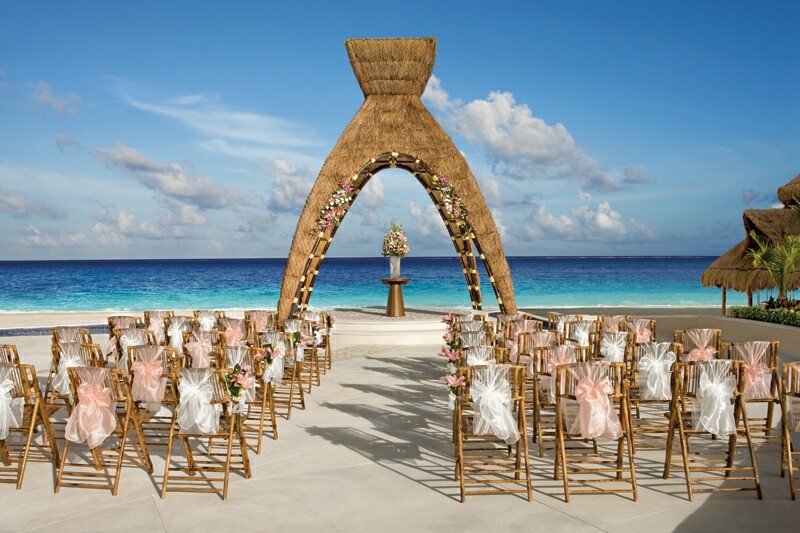 Registry Info: This is optional and completely up to your discretion but if you have a registry, your personal destination wedding website (not invitations) is the best place to include a link.